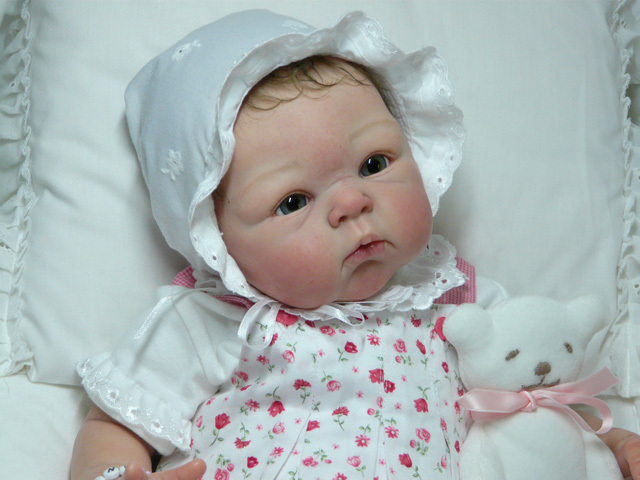 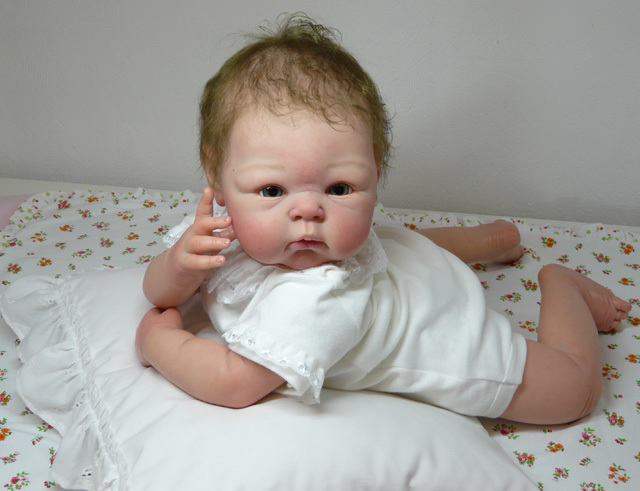 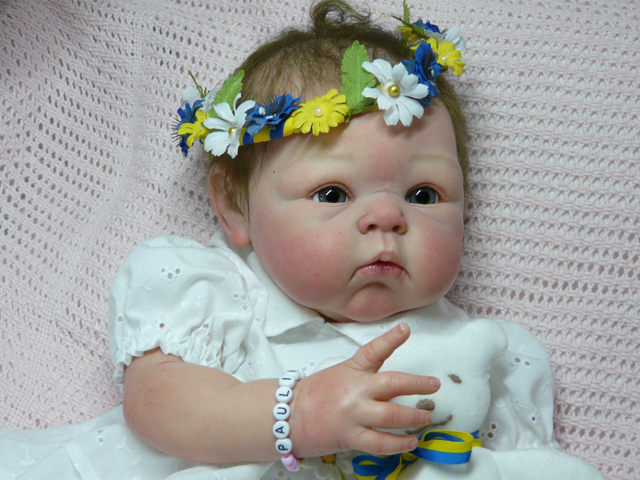 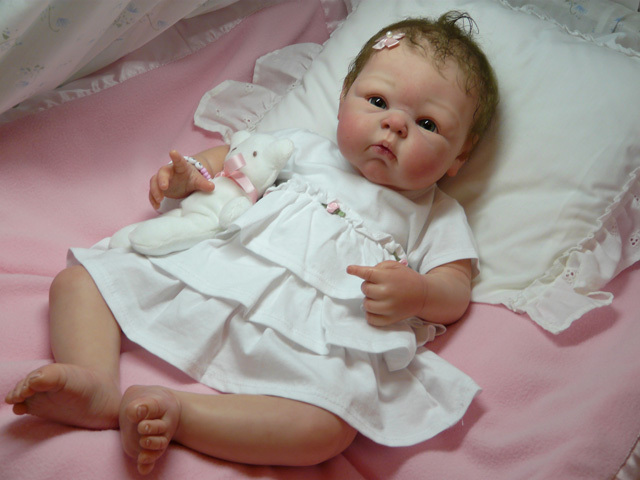 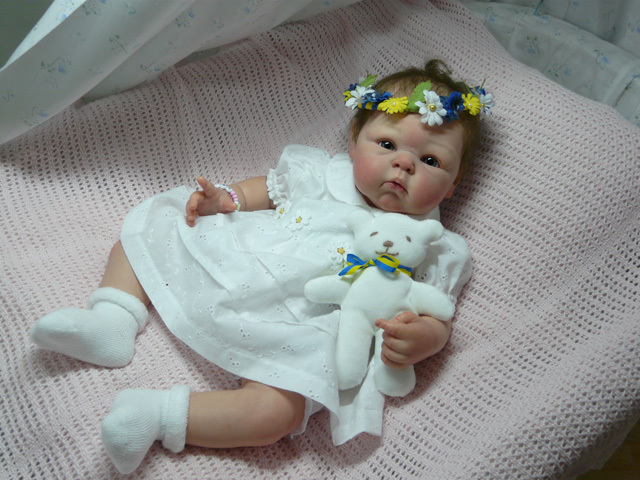 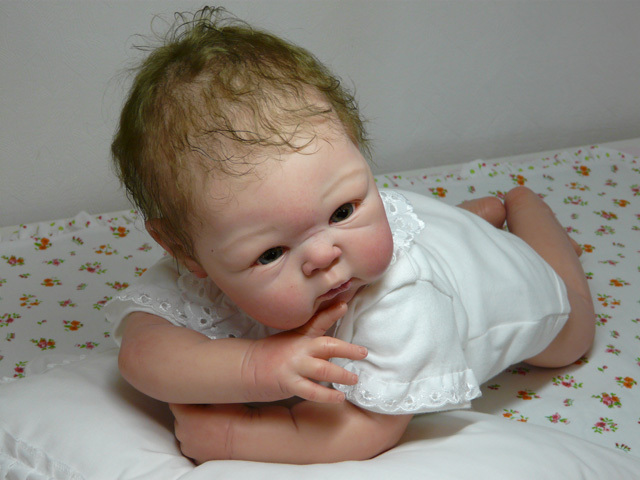 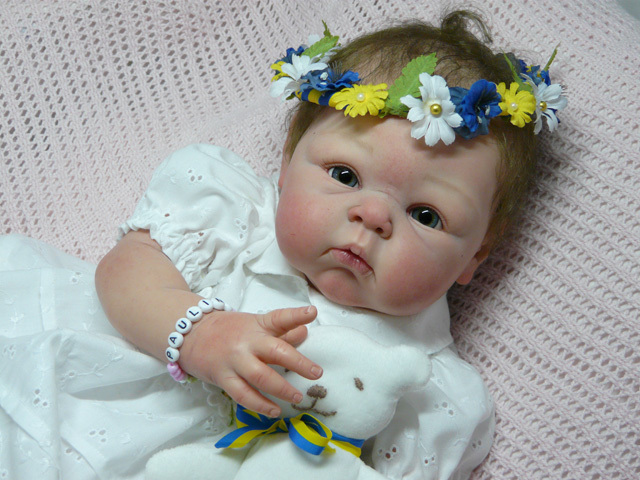 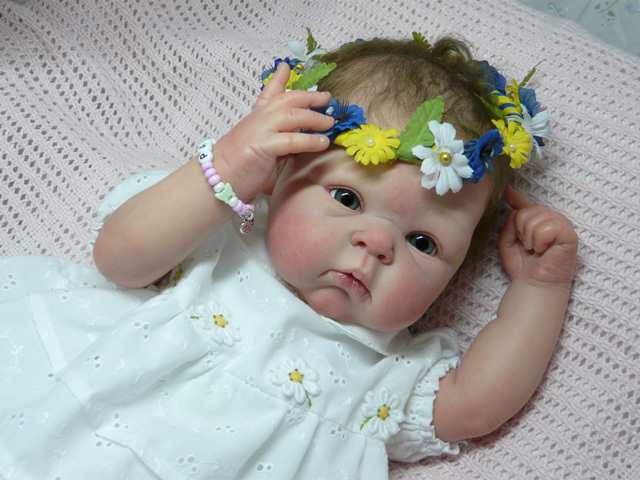 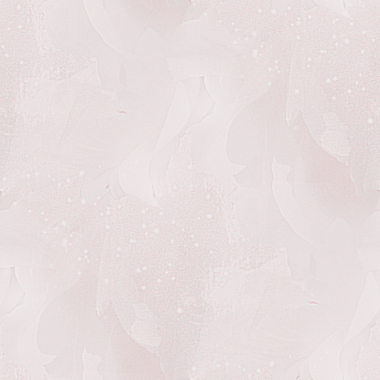 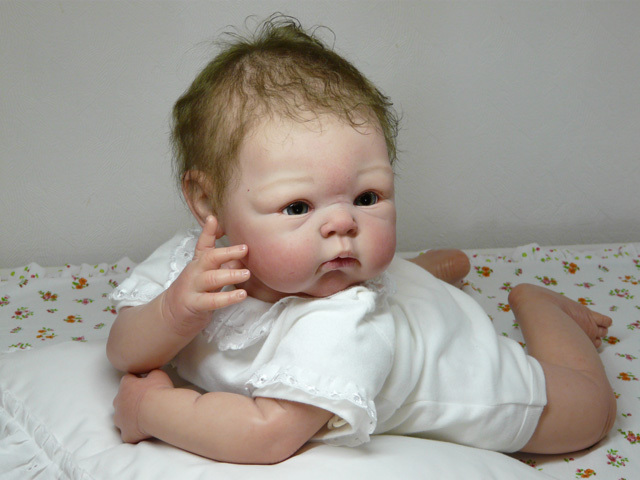 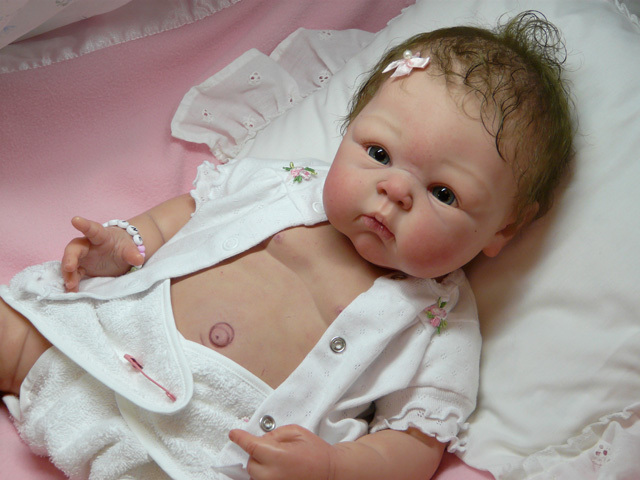 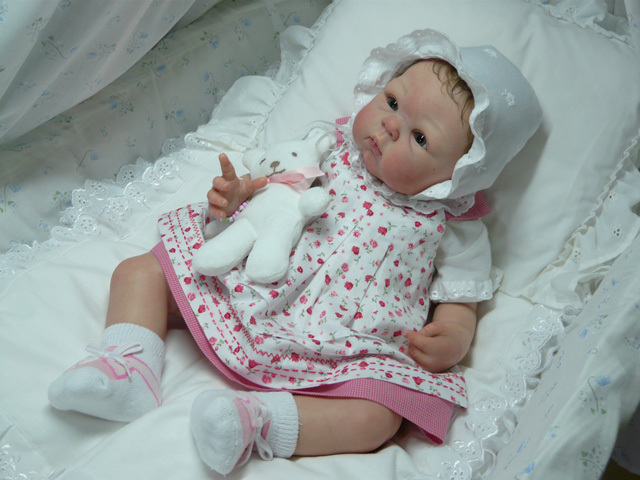 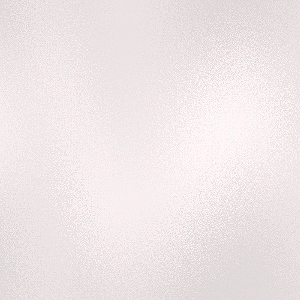 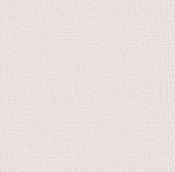 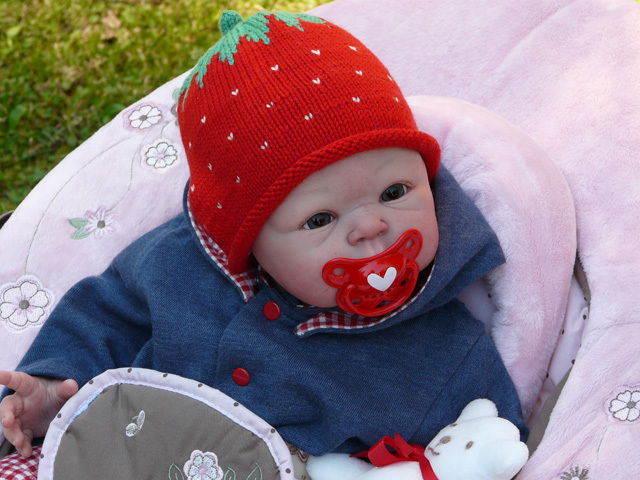 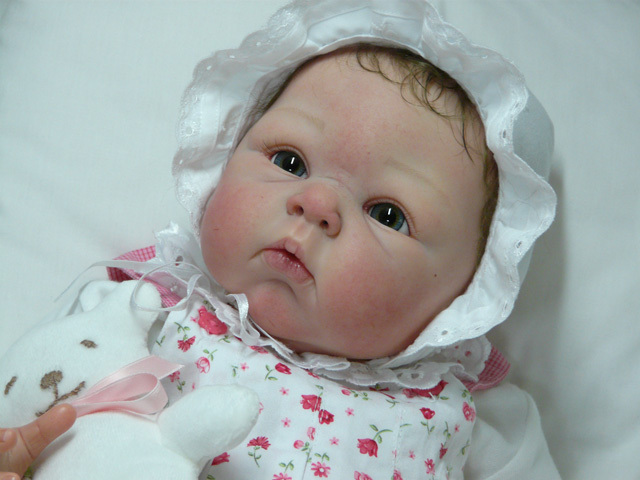 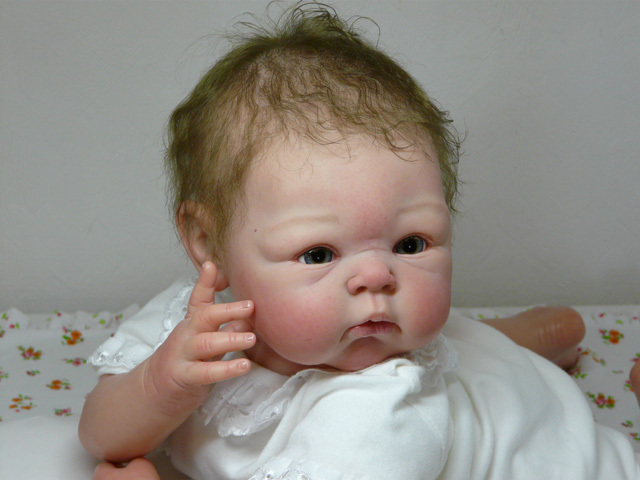 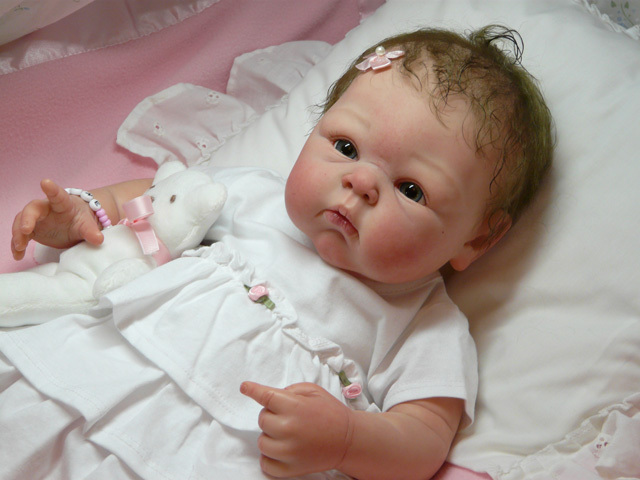 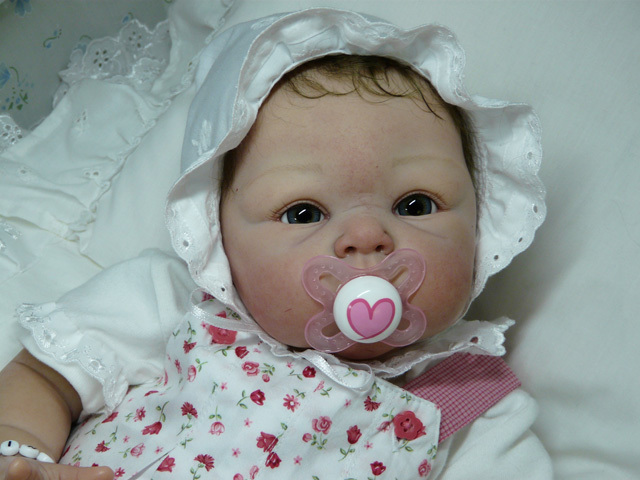 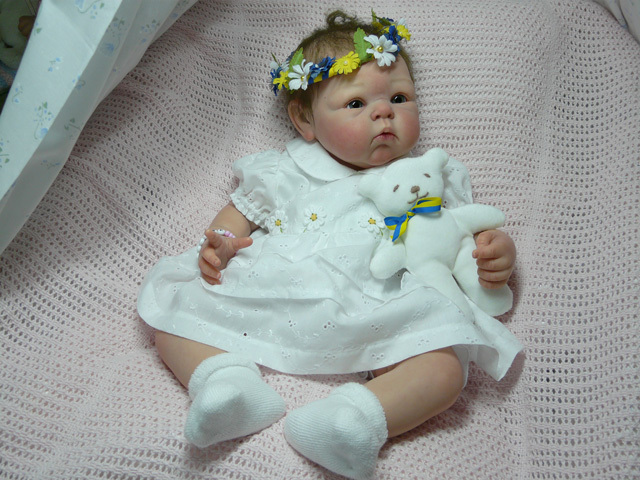 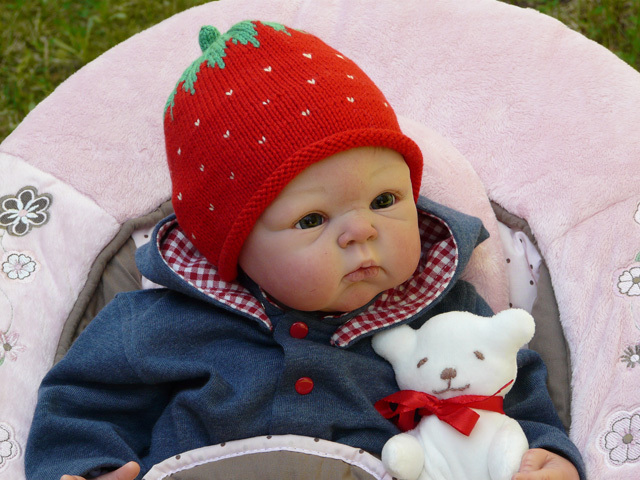 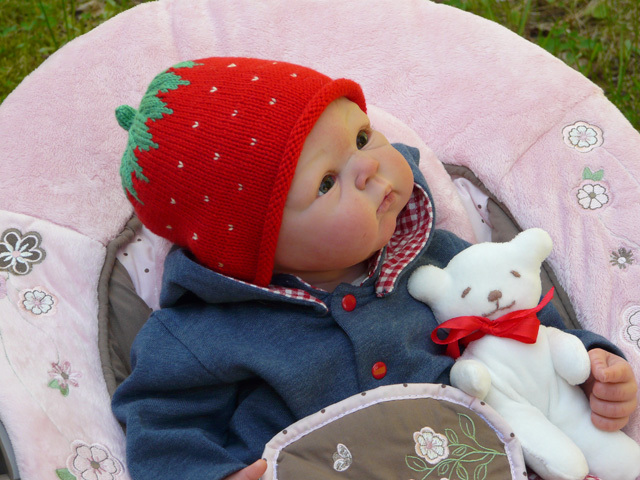 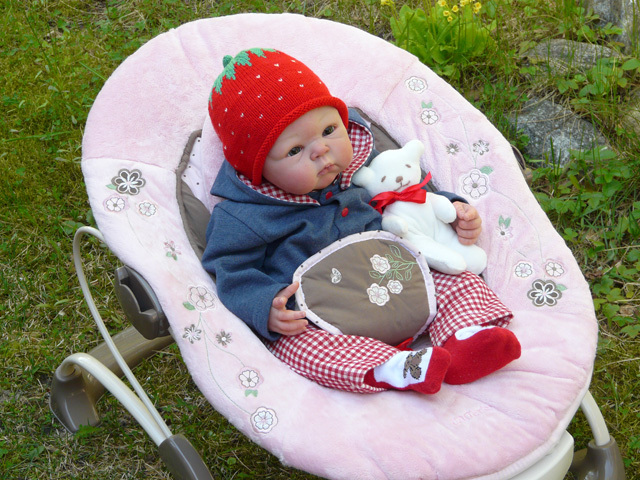 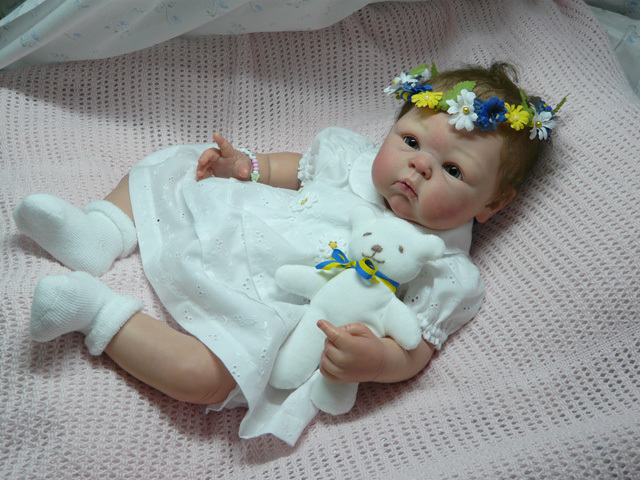 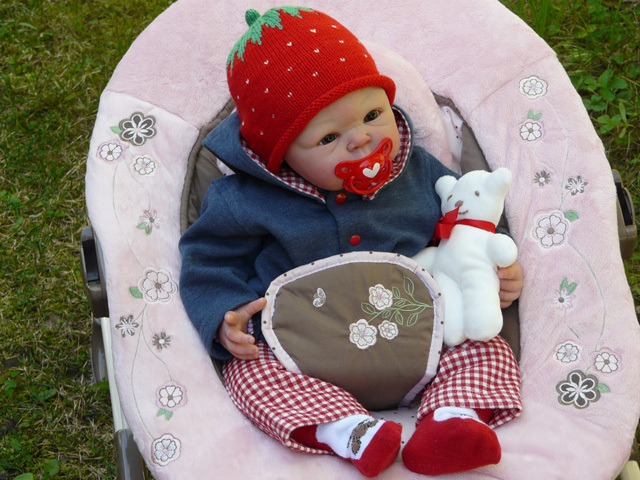 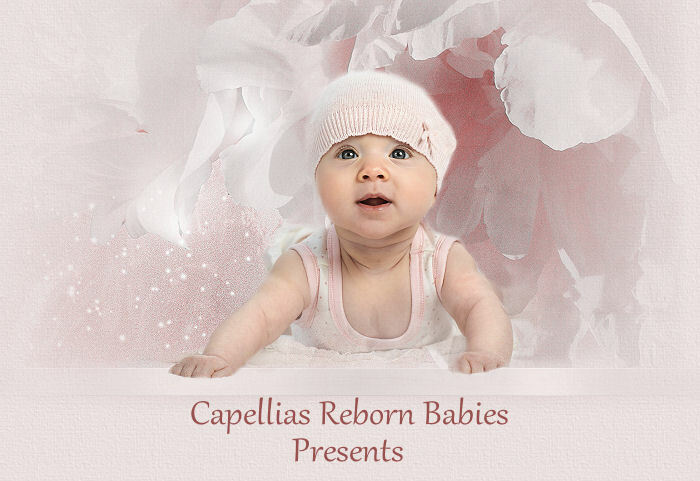 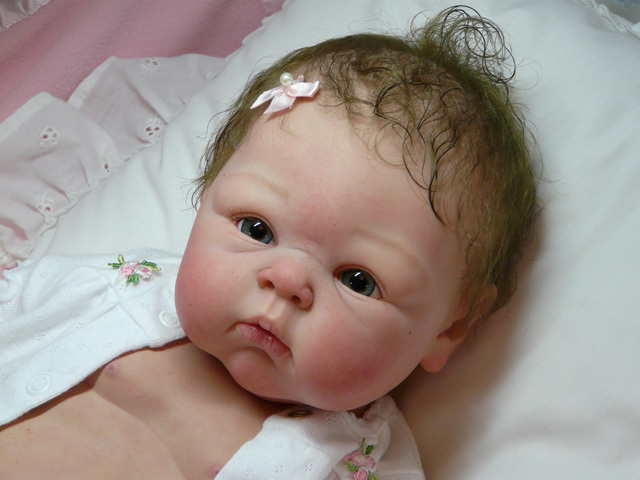 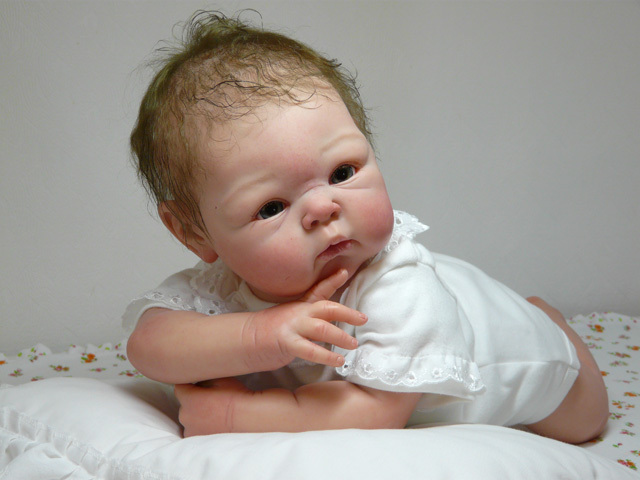 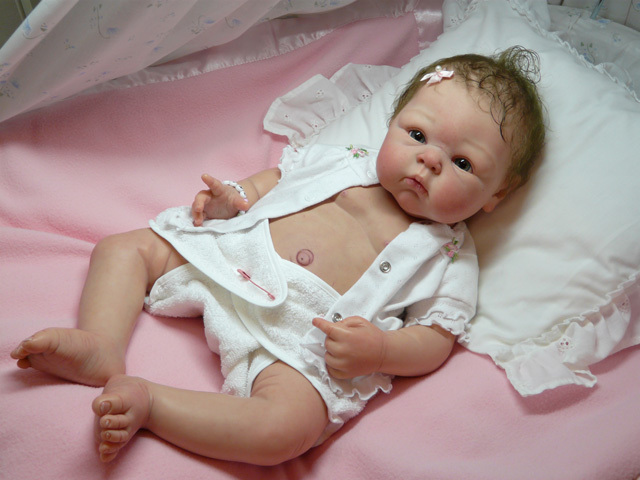 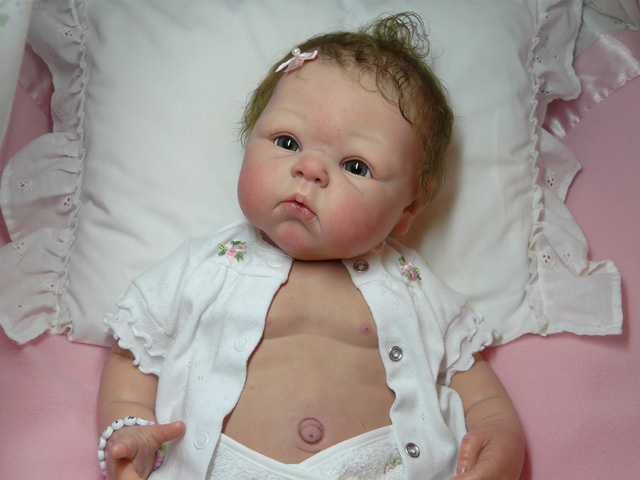 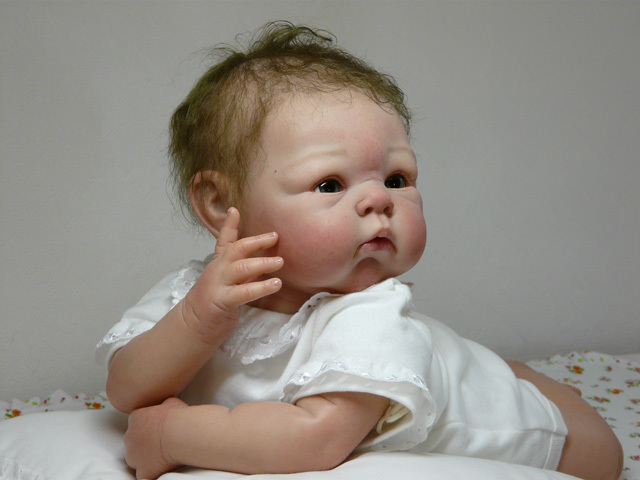 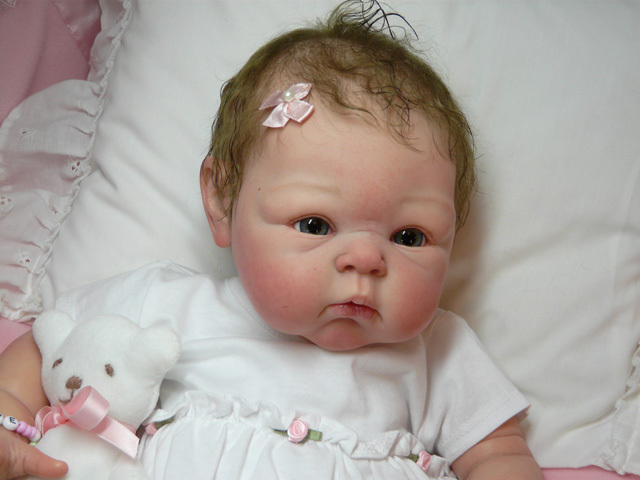 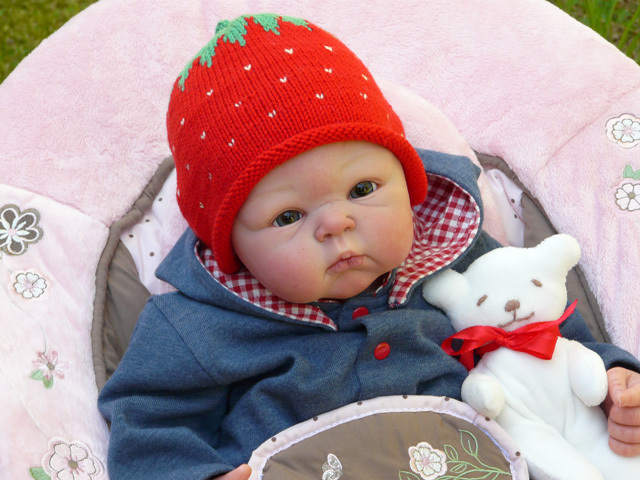 Baby Pauline started out as a kit called Paris, originally sculpted by the artist Adrie Stoete Schuiteman. 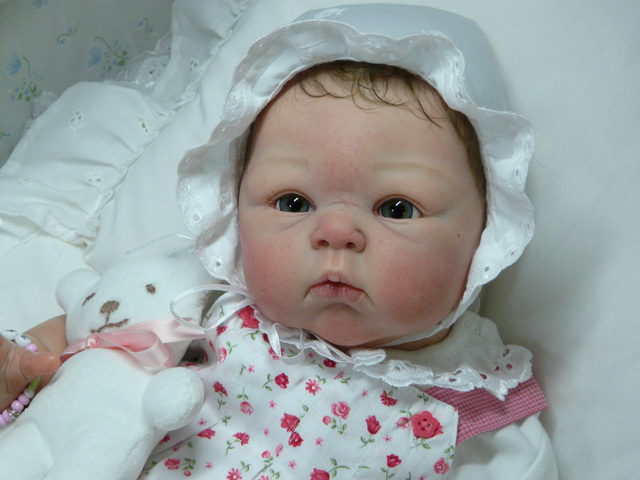 Pauline has greyblue mouthblown glass eyes and medium brown microrooted mohair hair. 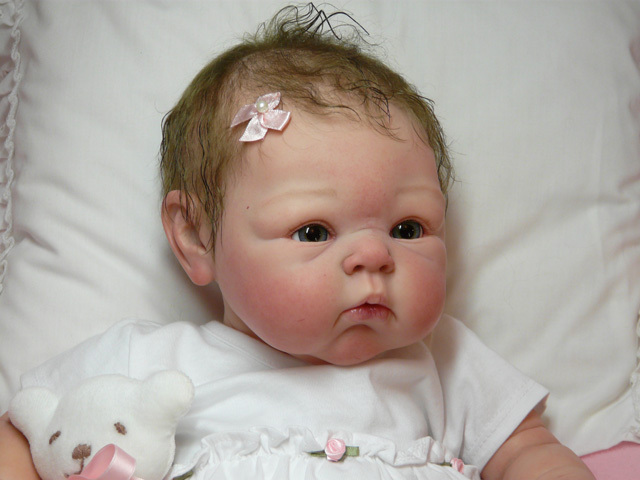 Pauline is now a collectible artist doll and not a toy.